There are 2 interesting errors that point to the practice of writing all of the black text first and then going back to add in the red. 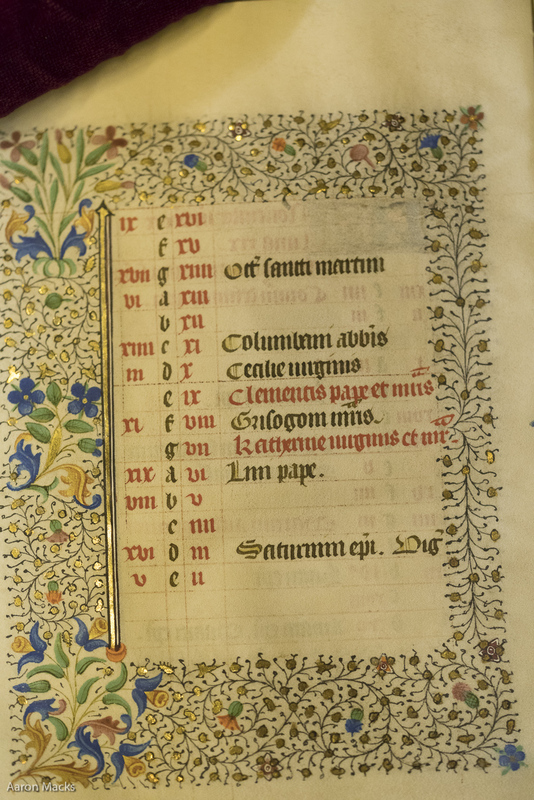 On the verso of May the Roman number is offset one row versus the Feast and the Dominical, which are in alignment (f.6v below) Notice that the red roman numerals start one row down from the top and continue one line past the black text. 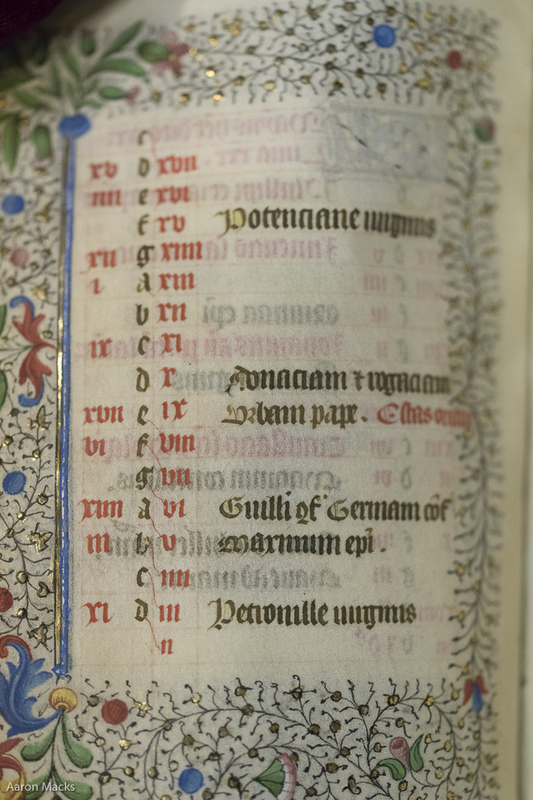 The dates of the feasts match the dominical letters and are offset from the Romans exactly by one. The second one is at the very end of the verso of of November (f.12v below). 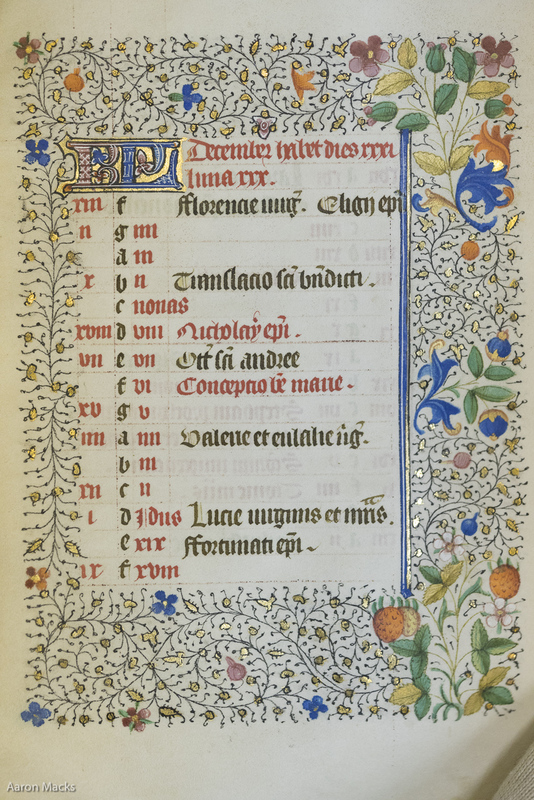 In black we have, on November 29th, ‘Vig’ as shorthand for “The Vigil of St. Andrew, apostle”, and on the following page, 7 days later on the 7th of December, the Octave of the same Andrew(see f.13r below). There is, however nothing on November 30th, no feast at all. This should be the main feast of St. Andrew, and as the feast-day of an Apostle, it should be in red. The presence of both the Vigil and Octave, on the proper dates, is strong evidence that the saint should have been there and was forgotten, rather than being intentionally omitted. I would propose that the scribe simply forgot the last line on the page when he was doing the second pass for the rubrics. This page contains a single entry by Aaron Macks published on June 9, 2016 2:15 PM. Houghton Typ 295 - 13th Century Rulings was the previous entry in this blog. Houghton Library - Typ 731 is the next entry in this blog.